A Preston high school has closed after losing its water supply. 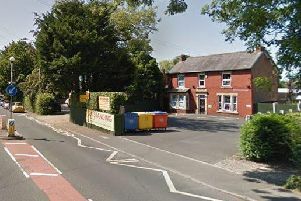 All Hallows Catholic High School in Crabtree Avenue, Penwortham, posted a statement on its website this afternoon stating that the decision had been made. Head teacher Mr Chris Horrocks said: "Due to the fact the school is currently without water, the decision has been made to close the school. "The school buses are currently being sent for and parents may now collect their children from school if they would not normally catch the bus. "Any pupils remaining will be taken care of by staff until they can be collected. "Apologies for any inconvenience caused by this unforeseen circumstance."